Get paid on the go with a FREE mobile credit card reader. Take payments on the road, on the run, and anywhere you serve your clients with a state-of-the-art Clover Go, compliments of Beacon. Put transaction history, custom tax and tip prompts, and the ability to email or text receipts, all at your fingertips. Accept EMV chip cards, which reduce fraudulent activity and protect you from fraud liability. 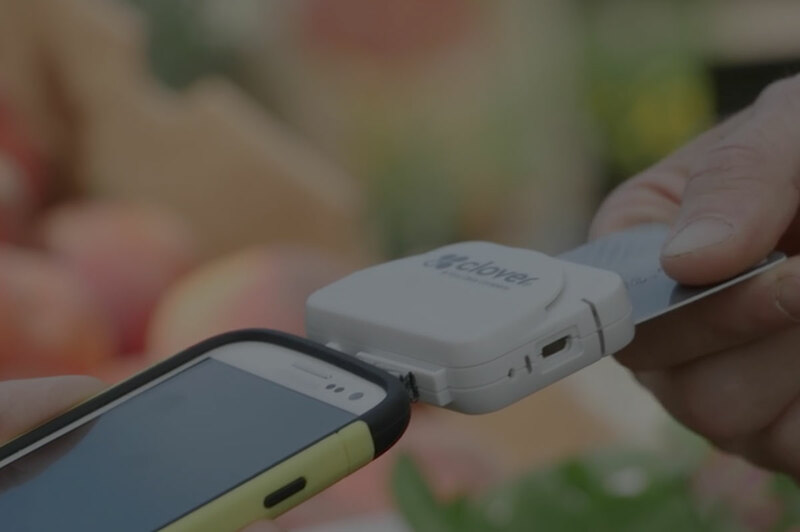 Your Clover Go reader goes wherever your business takes you, accepting both EMV chip and ‘swipe’ card payments. For more than a decade, Beacon has helped health and wellness business owners like you find the tools they need to improve their most critical business operations. We bring you the industry’s most powerful technology and help you get the most bang for your buck with customized solutions built around your needs and budget. If you’re still not ready for Mobile Pay, let us help. Call (866) 430-2322 or complete the form above to talk to a Beacon Business Solutions Expert.